Bryce Harper didn’t have long to bask in the glory of being the highest-paid player in baseball. The Los Angeles Angels and Mike Trout have reportedly agreed to a contract extension that will set records for both total value and annual worth. 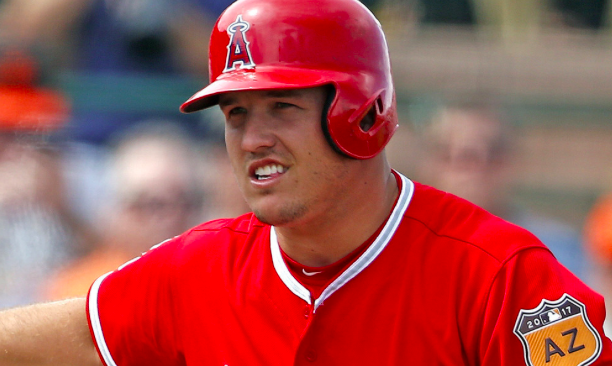 The new deal, when it’s finalized, will pay Trout $430 million over the next 12 years. This will be the second 9-figure contract Trout will have signed. The 27-year-old outfielder has two years left on his six-year, $144.5 million contract. His new contract will take the place of the final two years of that deal and then tack on 10 more years to his tenure with the Angels. Rather than becoming a free agent after the 2020 season, Trout won’t be a free agent until after the 2030 season when he’s 30 years old. According to reports, there will be no opt-out clause for Trout, likely keeping him with the Angels for his entire career. The $430 million total over 12 years will pay Trout an average of just under $36 million per season. That figure will surpass Zack Greinke’s $34.4 million as the highest average income in baseball. Trout’s contract will also far surpass the total money that both Harper and Manny Machado got previously this offseason. Naturally, there are two sides to the debate of whether or not Trout is worth the money the Angels are now paying him. Clearly, he’s a generational talent who is arguably the best overall player in the game. Trout won American League Rookie of the Year in 2012 and has been an all-star in all seven of his full seasons in the big leagues. Along the way, he’s won the Silver Slugger award six times and been named American League MVP twice. Moreover, Trout is just 27 years, meaning his best years could still be ahead of him. If any player was going to break the $400 million threshold in baseball, it makes sense for it to be Trout. The Angels also had to consider the fact that if they didn’t dish out the cash to extend Trout, another team likely would have given him a comparable contract when he hit the open market in two years. While all of that is true, Trout’s tenure with the Angels hasn’t exactly been synonymous with winning. From 2002 to 2009, the Halos reached the postseason six times. However, since Trout was first called up in 2011, the Angels have made the playoffs just once. Obviously, Trout isn’t to blame for the team failing to win. However, paying him over $30 million a year for the next 12 years could make it more difficult to build a winning team around him. Despite Trout’s immense talent, there’s only so much he can do to lead the Angels to the postseason. It’s also worth noting that the Angels have been burned on two of their previous big-money contracts. The club got little productivity from the five-year, $125 million deal they gave Josh Hamilton. The Angels are also getting diminished productivity from Albert Pujols on the backside of his 10-year, $240 million contract. Pujols is currently 39, the age Trout will be at the end of this 12-year contract. In the end, only time will tell if Trout will live up to his massive, record-setting contract. Short of leading the Angels to multiple World Series titles over the next decade, it’s hard to imagine it being worthwhile in the end. However, given both his performance and personality off the field, Trout may be one of the few players in baseball who’s worth the risk. If nothing else, the Angels have guaranteed that Trout remains with the team for the rest of his career and will never be associated with another organization. In the end, that could just about make this record-setting contract worthwhile.